Xview is a scenery generator for PSX based on X-Plane. Here is the introduction to the XView User Guide, which will give you some idea of the features. 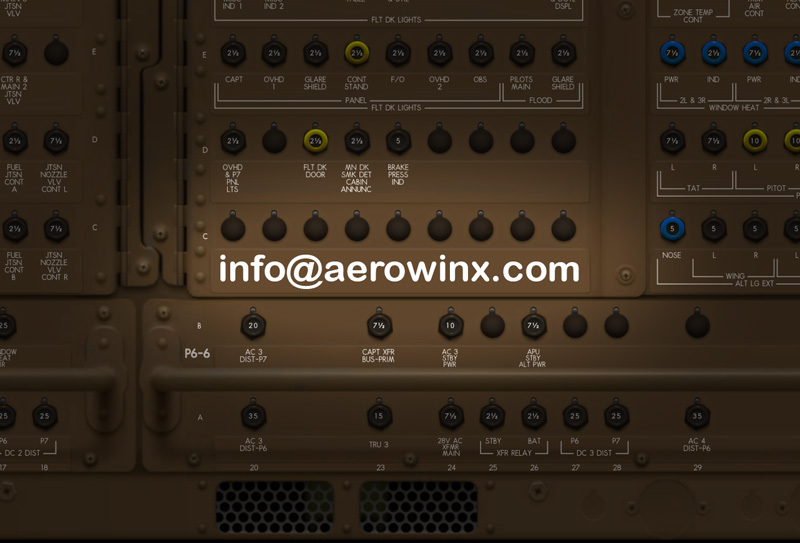 XView is a program that provides Precision Simulator by Aerowinx (PSX) with world-wide scenery and spectacular lighting effects. It is implemented as a plugin to the X-Plane flight simulator by Laminar Research and connects to PSX over a network. In addition to detailed rendering of the scenery with accurate ground elevation, the system provides highly detailed airports with sloping runways and full runway and taxiway lighting. The runway positions in X-Plane exactly match those in PSX so that there is no need for offsets. XView feeds PSX with the scenery elevation, so if you fly into a mountain you will crash! Aircraft traffic can be specified by either PSX or X-Plane and in either case the traffic shows up both in the scenery and in the cockpit Navigation Display (ND). Operation with VATSIM should be possible. PSX supports muli-pilot set-ups for flying as captain and co-pilot in one aircraft or as captains in two independent aircraft. XView will generate the appropriate views in both cases. To enable visual animation of the aircraft components a new aircraft has been developed for use with X-Plane. It is called PSX Plane and is provided with XView, although its use is not essential. Installation is simple: just a few files need to be added into the X-Plane directories. X-Plane is a current product and is continually being extended by Laminar Research. There is an active user community developing enhanced scenery and buildings for airports. XView has taken a considerable time to develop and I hope it will be a useful addition to the PSX family. It is Windows based and wupports X-Plane 9 and 10 in both 32- and 64-bit versions. Thanks Mike, this are wonderfull news! Great news - seems I need to buy X-plane besides PSX. Have downloaded the demo and like the fluidity over FSX although I find the "look" of FSX more natural. The XView User Guide is now available at ftp://larkshayes.com. The software will be loaded in the same place later in July. I wpuld love to have X-plane as a scenery generator. Wow amazing, really looking forward to testing it out. I am confused about the multi-pilot setup. I will have 2 PCs (a PSX PC running all the avionics for the Captain and FO, and another PC running Xplane for visuals). However your diagram does not seem to make that possible? The diagrams (as there are 2 diagrams, not one) show the multi-USER setup! For a multi-COMPUTER setup (with a single user), it's obviously possible, simply pointing XView towards PSx (Main and Boost) server IP address. Regarding weather, I guess Xview overrides any Xplane settings? How well does Xview cope with 3 projectors on a curved screen? - weather: please read the XView manual. Answer's there. - 3 projectors: that's a question for any X-Plane forum; or try the demo by yourself. Sorry I did not make myself clear. I was trying to clarify the sentance in the manual: "XView treats PSX as the master for weather". Does that mean Xview overrides the Xplane settings? Does that mean Xview overrides the Xplane settings? Yes. This was decided because the weather affects the flight model, which of course is provided by PSX. The wind has little effect on the scenery, except the direction of windsocks on the ground and snow. The specification of the weather is rather different in the two systems so the mapping of PSX weather onto X-Plane is not exact. Not all XP weather variables are modified. However, the approach I have taken works well enough. Fantastic Mike! This is going to be my compliment to PSX. I've got X-Plane waiting! XPX will be my choice for PSX scenery generation: sloped runways, runway offsets matching PSX, no microstutters, 64-bit code, free & up-to-date OSM data integration with World2Xplane, a huge freeware airport coverage and many assets more. Have been using the sim for quite a time now, and it steadily becomes better. Just checking the username and password for the link provided were still active as I couldn't get in. The full software package is now up on my server (details of login above). Thanks so much Mike! Now I just need PSX!